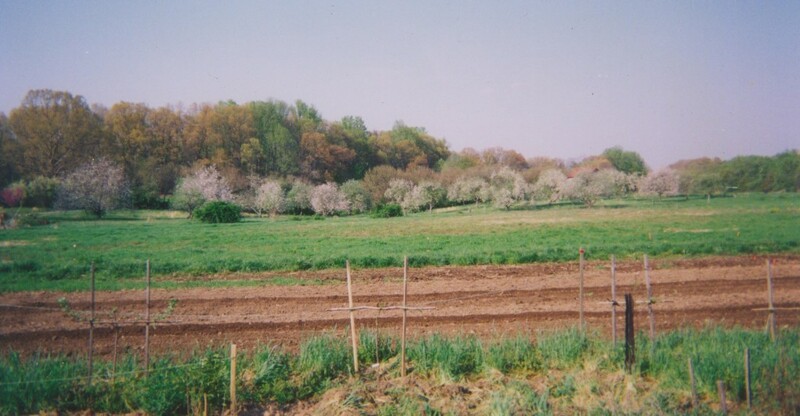 I gave my presentation on Crop Planning to a small group at For the Love of the Local, in my home town of Louisa, Virginia last Thursday (3/10). This weekend I have been in Asheville, North Carolina, at the Organic Growers School. My presentation on Intensive Vegetable Production on a Small Scale is available to view on SlideShare.net. My next task this week is to upload my presentation Growing Great Garlic to SlideShare, and make it available here on my blog. Currently there is an older version of the presentation, from 2013, up there. By next week I should have the new version posted. 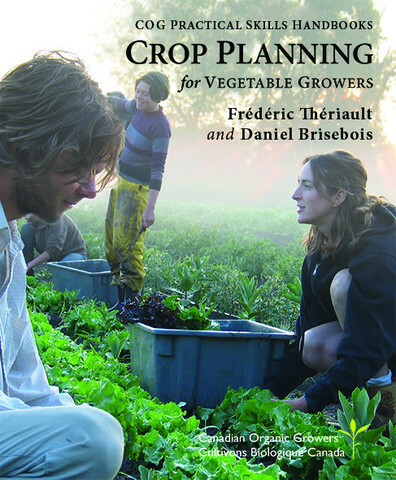 This compact and practical workbook is for small-scale vegetable or flower growers wanting to increase the success of their enterprise by better planning, or for new farmers wanting reliable help to get started. Clearly written, it follows a fictional couple (Hanna and Bruce) working through the eleven step planning process. This is a concise focused workbook with lots of charts, not a chatty bedtime read. But for small-scale farmers, this won’t be a dry book. As well as the excitement and relief of “Aha!” moments, readers can enjoy the chance to cement the practical tips of each chapter with a real-life example – a description of a farm tackling that chapter’s planning stage. The approach of this book is very similar to the one I spell out in my book Sustainable Market Farming and in my slideshow posted above, although I have not yet met the authors , and we constructed our plans independently. This book leads the reader with every necessary detail and worksheet. The planning sheets are available to download as Excel spreadsheets from the Canadian Organic Growers website. You can then customize them for your own use. Or you can print them out and use as worksheets as they are, if you are not at ease with spreadsheets and would rather just have a ring binder of worksheets. One very important aspect of planning is to choose a method that works for you. If you find your record-keeping or planning method easy and comfortable to use, you are much more likely to use it and hence it will give you more useful results. Crop Planning is written by two farmers from Quebec, so growers in other climate zones will need to keep this in mind. 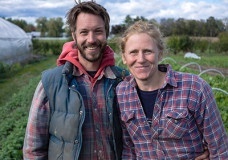 Hanna and Bruce’s harvest season starts at the beginning of July and runs to late October. Planting season runs from May 1 to mid-October. You will need to extrapolate at both ends if your winter hardiness zone is higher than theirs. You will also need to look at summer plantings – perhaps you won’t be planting lettuce, kohlrabi or arugula in July. You’ll need to apply your experience to the methods and decide on planting dates to fit your own harvest date goals. Also, you won’t find info on growing Southern staples like okra, sweet potatoes and lima beans in this book. But you can feed information from elsewhere (including your own experience as a grower) into the format provided. The fictional Hanna and Bruce in this book run a CSA as well as a farmers market booth, so that planning for both are conveniently included. Measurements are included in both the metric system and the feet and pounds of the old imperial system (more common in the US). Appendices provide reference charts; tips on designing a modular field layout to facilitate crop rotations and ease the transfer of standardized lengths of row cover and drip tape; a detailed money budget; some recommendations for further reading. Sadly, no index, but the contents list is clear and straightforward. Crop Planning will quickly repay the $25 cover price. It’s all too easy to make a mistake costing $25 or more if you are under-informed, or under-prepared in some other way. Pay now and save! 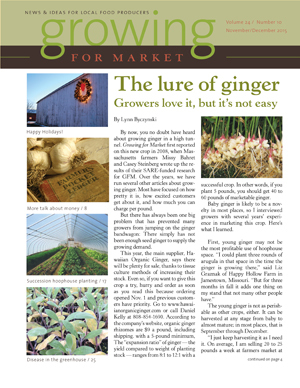 The March issue of Growing for Market is out. It includes my article on planning and siting a hoophouse. This is a good time of year to scope out good sites for a hoophouse (high tunnel) if you don’t already have one. Or if you want another! I address NRCS funding; what to look for in a good site (sunshine, drainage, good soil, fairly level land, wind protection, road access, electricity and water supplies); size and shape; and DIY versus professionally made frames (my advice – don’t skimp!). I go into the debate on single layer versus double layer plastic and special types of plastic. I will be writing a follow-up article soon, talking about hoophouse end wall design, windows and doors, fixed walls, roll-up and roll-down walls, interior design (bed layout) and questions of in-ground insulation or even heating, as well as rainwater run-off and perhaps collection. Our hoophouse when brand new. 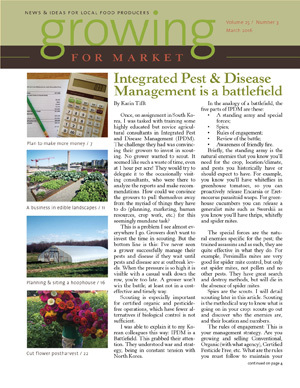 Other articles in this issue of Growing for Market include one on Integrated Pest and Disease Management by Karin Tifft; one on how to plan to make more money, by Jed Beach; Edible landscaping by Brad Halm; and Gretel Adams on how to best look after flowers at harvest, to cope with their particular and sometimes peculiar needs. An issue very packed with information! My talk at the Culpeper County Library last weekend was very well received. Most of the audience were small-scale growers themselves, some were CSA farmers. 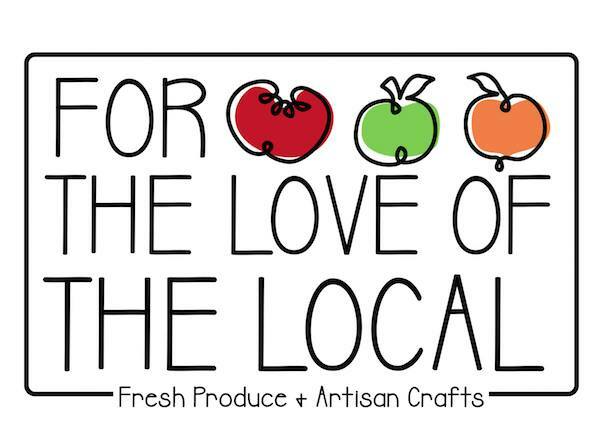 Now I’m gearing up for a Crop Planning class at For the Love of the Local in my home town on Thursday 3/10 6-7pm. 402 West Main Street. Louisa, Virginia. (540) 603-2068. Immediately after that I’m headed to Asheville, NC for the Organic Growers School. 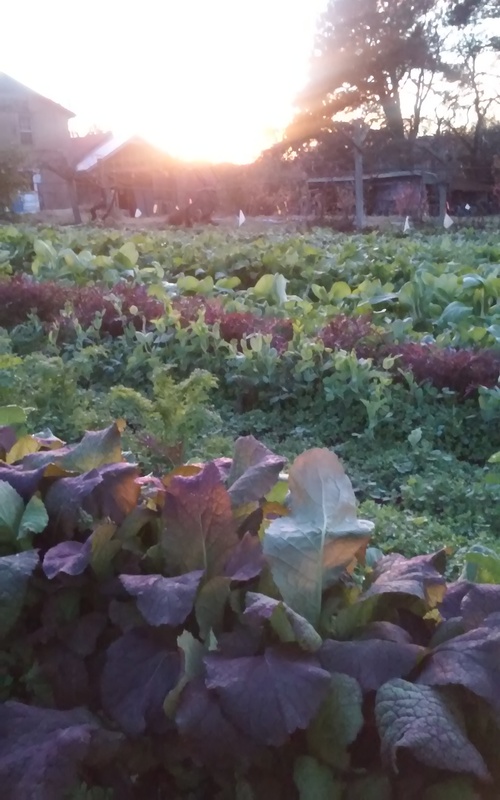 On Saturday 3/12, 2-3.30pm I’ll be presenting (a shorter version of) Intensive Vegetable Production on a Small Scale, which was a big hit at the Southern Sustainable Agriculture Working Group Conference at the end of January. On Sunday 3/13 , 4-5.30pm, I’ll be presenting my Growing Great Garlic slideshow. Two weeks after that, I’ll be back in Asheville for the Mother Earth News Fair. Click the link to see the draft schedule. I’ll be giving presentations on Crop Planning and on Fall Vegetable Production. We decided that although the Asheville Fair is always in April, people there also may be just as interested in fall vegetable growing as much as in spring vegetables! For the stay-at-homes I’ll put these presentations up on SlideShare after the event and share them on my blog. Spring has reached Virginia and it’s time to be on the lookout for ticks. 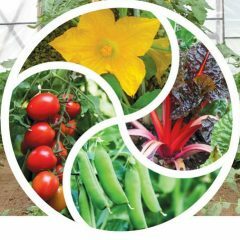 I found a really good interview with Rick Ostfeld of the Cary Institute on A Way to Garden. This blog is by Margaret Roach, a long time garden writer, who interviews many interesting people. You can listen to her podcast or read the interview. 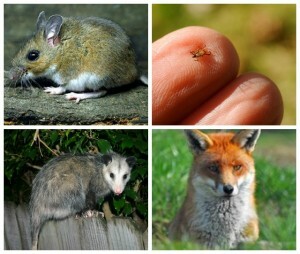 Learn why the black-legged tick (which can transmit Lyme disease) is called the deer tick and why that isn’t the best name; why mice, chipmunks and shrews (but not voles) contribute to the spread of Lyme disease, and why foxes, opossums, raccoons and bobcats can reduce Lyme disease incidence (by catching the small mammals). Possums also “hoover up” and eat the ticks directly. We’ve finally started planting! We transplanted some spinach and sowed carrots on Saturday. 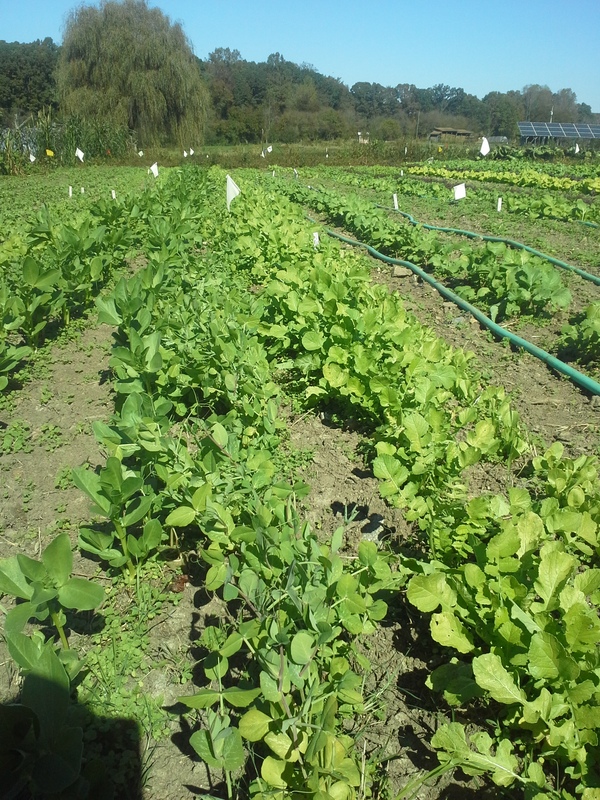 The new spinach is covered with hoops and rowcovers, just as our overwintered spinach is. This has been a tough winter. The cold-damaged spinach had bleached frozen spots on the leaves, but we have been able to harvest it about once a week. I’m home from a very successful Southern Sustainable Agriculture Working Group (SSAWG) Practical Tools and Solutions for Sustaining Family Farms Conference in Lexington Kentucky. It was the biggest so far, with 1400-1500 participants. My workshop Intensive Vegetable Production on a Small Scale ran out even of standing room, so I was asked to repeat it in the afternoon. I did that and the new room was half full. I gave out over 230 handouts. The impossibly broad topic was a challenge for a 75 minute workshop, but I did my best. Last week I blogged the info on Bio-intensive Integrated Pest Management that I had to drop from the slideshow. I love the SSAWG conference. I learned so many useful tips that will improve my farming this year and in the future. 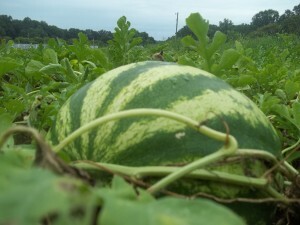 Such as another way to tell a ripe watermelon: stroke it and feel the texture of the skin. If it’s slick the melon isn’t ready. When it becomes a little rough, it is. Such as, yes a 60cfm inflation blower really should be adequate for a 30′ x 96′ hoophouse, so we almost certainly have holes in the plastic. Such as ways to deal with tomato diseases in the Southeast (thanks Joe Kemble of Auburn University). If you are now wishing you’d been there, go to SlideShare.net and search for SSAWG. There are so many valuable presentations from conferences over the years. Also the audio of this year’s presentations (and last) are available from Rhino Technologies. Wait a few days for them to get home and load everything on their website. And while the soil outside is waterlogged and you can’t do much gardening or farming, what better than more veggie-reading? 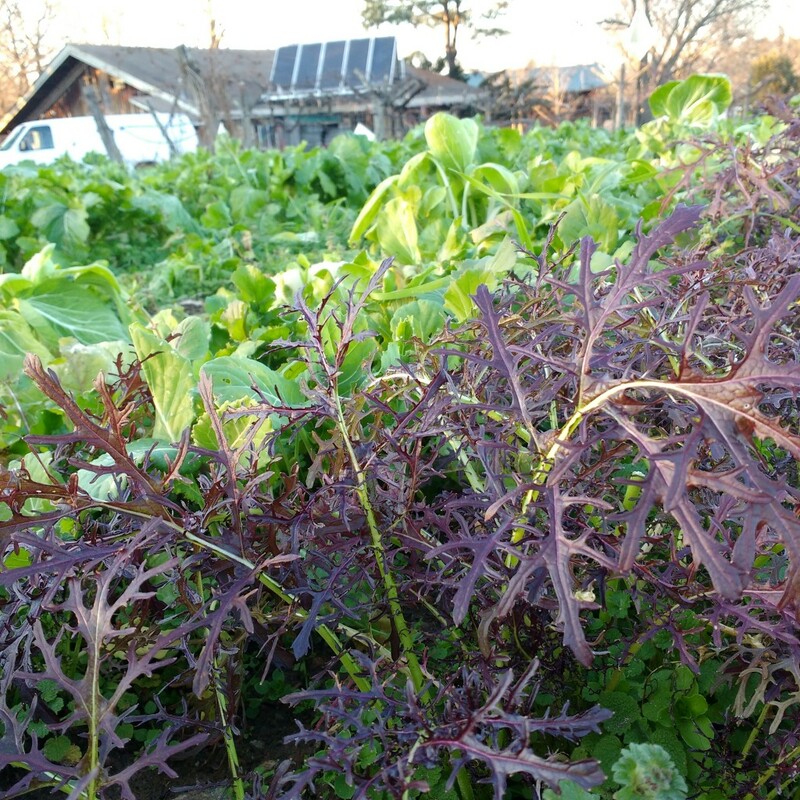 Mother Earth News Feb/March issue has an article by Carol Deppe, on How to Easily Grow High-Yielding Greens. Carol is the inventor/discoverer of Eat-All Greens, which I have been writing about on this blog. Her 20 years of trialing this method of growing cooking greens quickly with very little work has led her to now recommend seven greens as particularly suitable. Green Wave mustard, Shunkyo and Sensai radishes (I was interested to read that Carol also harvested the radish roots as we did with ours in December), Groninger Blue collard-kale (must get that this year), Burgundy amaranth, Tokyo bekana (check! ), and Red Aztec huazontle. No mention this time of peas. Peas provided our earliest harvests this fall. Keeping them tender was a challenge though. 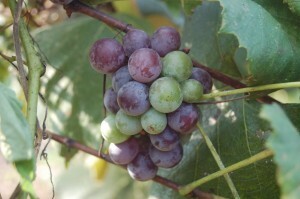 The article includes information on where to buy the varieties she recommends. Carol also has her own seed company Fertile Valley Seeds, selling varieties and strains that she has developed. In the same issue of Mother Earth News is some of what I have written about dealing safely with green potatoes. Lastly for this week, the February Growing for Market is out. This is the first issue from the new editor, Andrew Mefferd. 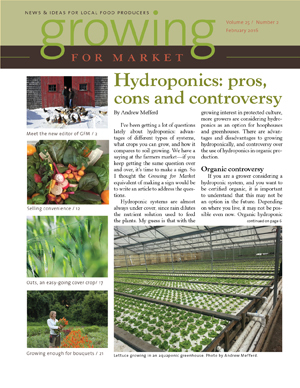 He tackles the thorny topic of hydroponics and whether it can ever be considered Organic. (Many organic and biological growers believe it is important to Keep the Soil in Organic) As well as the Organic status of hydroponics, he describes the various types of hydroponic production for those that want to grow food that way, and for the rest of us to understand what we are talking about. There is an article by Nick Burton about his hydroponic system and developing a trust-based sales system in a gym for people on a “paleo diet”, who eat lots of vegetables. Then a salad mix kit. He had moved from running a plant nursery to selling produce to selling convenience for people short of time and enthusiasm for shopping and preparing food. I admit to being skeptical about the paleo diet. Didn’t those paleo people spend all day scavenging for food? My own article this issue is very down-to-earth: growing oats as a cover crop. They are easy-care and in climates in zone 7 or colder, they reliably die in the winter, making for easy early spring cultivation. We like to undersow oats and soy in our last sweet corn patch. This saves us from having to disk up the patch to establish a winter cover crop (it’s already there! ), and means we can follow the late sweet corn with an early spring crop the next year. In our case it is the March potatoes. 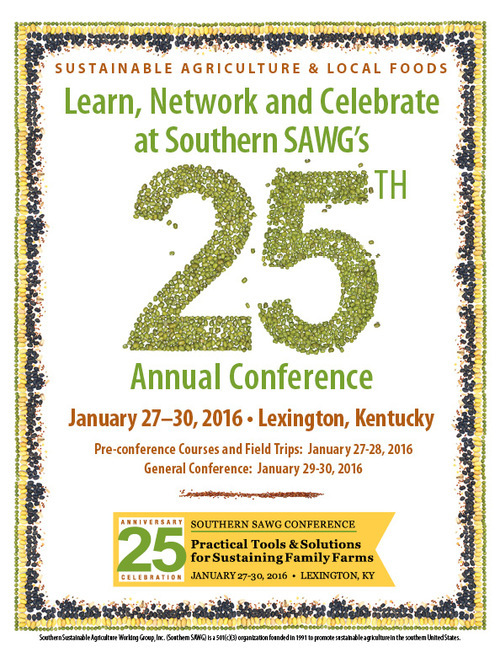 I’m off to the Southern Sustainable Agriculture Working Group Conference in a couple of days. I’m presenting Intensive Vegetable Production on a Small Scale. At the link you can view a version of the slide show with lots of bonus material! (It was hard to cut the show down to 75 minutes!) I also had a lot of material on sustainable management of pests, diseases and weeds which I couldn’t even fit in the handout, so I’m posting that here. The goal of IPM is to deal with problems in a systematic and least toxic way. 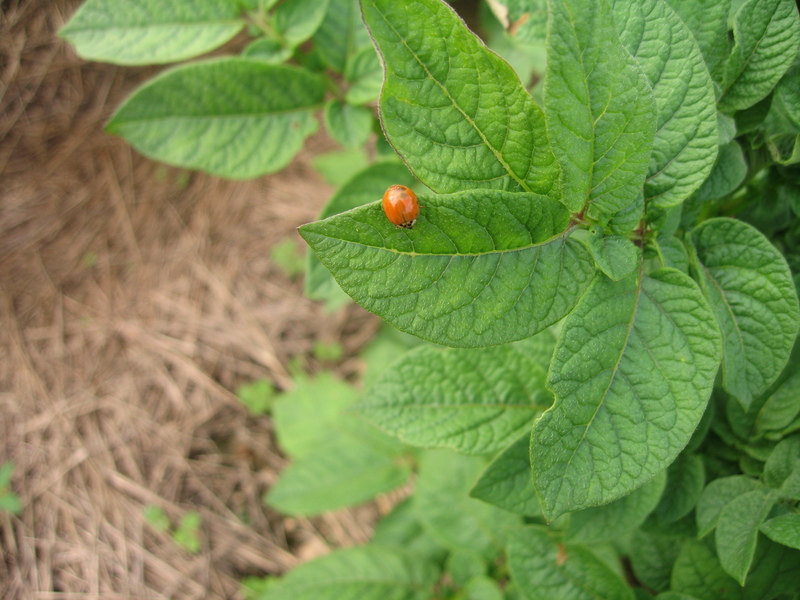 Biointensive IPM goes further in emphasizing non-toxic methods. There are four steps of IPM: prevention, avoidance, monitoring and suppression. Avoidance: The next stage is taking actions to reduce the chances of a specific pest taking over. These actions are also known as physical controls. All these methods reduce problems without adding any new compounds into the soil. 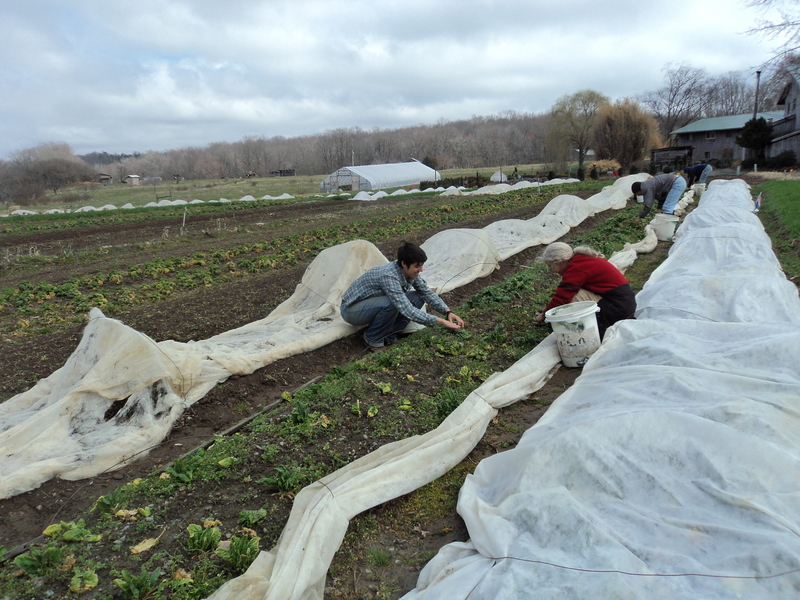 Use good crop rotations, remove pest habitat, deter known pests, use rowcovers, ProtekNet, low tunnels, high tunnels. Provide habitat for bats, insectivorous birds, spiders, birds of prey and rodent-eating ground predators (snakes, bobcats). Physically remove pests by hand-picking, spraying with a strong water spray, flaming, vacuuming, or by using a leaf-blower to blow bugs into a collecting scoop; solarize soil in the summer to kill soil-dwelling pests, as well as diseases. Monitoring (is action needed?) : regularly inspect your crops, find out when conditions are right for an outbreak of a particular pest, set traps and lures (sticky traps and pheromone traps) so you know when pests arrive or hatch out. Identify the pests you catch, keep records each year. Be prepared. Biological control involves either introducing beneficial predators or parasites of the pest species, or working to boost populations of existing resident predators and parasites. Microbial controls refer to the use of fungi, bacteria, and viruses to kill pests. Inorganic (mineral) controls, also known as biorational disease controls, make use of oils and soaps. Diseases need a susceptible host and the presence of a pathogen and suitable environmental conditions. Plant pathogens can be soil-borne, foliar-borne, seed-borne, or a combination of seed-borne with one of the others. A. Soil-borne pathogens can live in the soil for decades, so long crop rotations are needed. Club Root is one. Fusarium oxysporum and Verticillium dahliae are two soil-borne fungi. Fusarium survives a long time in soil without a host, and can also be seed-borne. C. Seed-borne pathogens: Lettuce mosaic virus is an example of a disease in which the seed is the main source of the pathogen and if seed infection is controlled, the disease is prevented. Other seed-borne pathogens may start life as a foliar-borne or a soil-borne pathogen. Infected seeds will produce infected plants even in clean soil. Pathogens can infect the seed via several routes: The parent plant can become infected by drawing soil pathogens through its roots up into the seed; Pathogenic spores can float in on the air (Alternaria solani, early blight of tomatoes; Anthracnose fungus that affects nightshades, watermelon and cucumber); Insects that feed on the plant can transfer the disease (striped cucumber beetles vector bacterial wilt, which is caused by Erwinia tracheiphila); Insects that pollinate the plant can bring infected pollen from diseased plants. Practice good soil management (eg timing of tillage) to preserve maximum diversity of microorganisms; Use rotations to minimize disease and improve the environment for natural enemies of diseases; Time your plantings to avoid peak periods of certain diseases; Practice good sanitation of tools, plants and shoes; Use seed hot water and bleach treatments; Plant locally adapted, resistant varieties; Provide good airflow; Use mulches to reduce splashback from soil to plants; Use drip irrigation to reduce moisture on foliage; Use farmscaping to encourage beneficial insects. 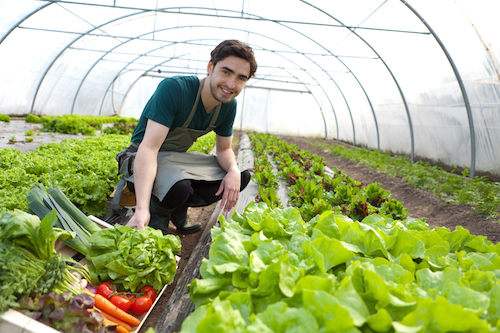 Make a regular tour of your crops once a week to monitor growth and health. Keep good records. If you see a problem, identify it. Plant Diseases Diagnostic lab can help. The mere presence of a disease does not automatically require spraying. The economic threshold (ET) or action level is the point at which losses from the disease warrant the time and money invested in applying control measures. Physical controls: Removing diseased plant parts, protecting vulnerable plants with rowcovers or sprayed kaolin barriers, mulching to isolate plant foliage from the soil, tool and shoe sanitation, soap washes for foliage, hot water or bleach seed treatments, and soil solarization to kill disease spores are all methods that reduce problems without adding any new substance into the mix. Biological controls: Beneficial animals and insects are more common in insect pest reduction than in disease control, but the use of milk as a fungicide qualifies as a biological control. Plants in danger of developing powdery mildew can be sprayed weekly with a mix of one volume of milk with four volumes of water. When exposed to sunlight, this is effective against development of fungal diseases. Microbial controls: Homemade microbial remedies employ liquids (simple watery extracts and fermented teas) made from compost. For a simple compost extract, mix one part mature compost with six parts water. Let it soak one week, then strain and dilute to the color of weak black tea. Fermented compost tea can deal with many maladies. If your strawberries are prone to Botrytis, apply fermented compost tea every two weeks, starting when the berries are still green. See ATTRA or the Soil Foodweb site for how to make fermented compost teas. Inorganic controls, also known as biorational disease controls: These include Bicarbonates (baking soda) one teaspoon (5 ml) in one quart (one liter) of water, with a few drops of liquid soap as a spreader-sticker against fungal diseases. Oils and soaps copper and sulfur products, as part of a prevention program (not a cure). Several of these need to be used with caution if the plants and the planet are to survive the treatment. Weeds compete with crops for sunlight, water and nutrients, and can encourage fungal diseases by reducing airflow. 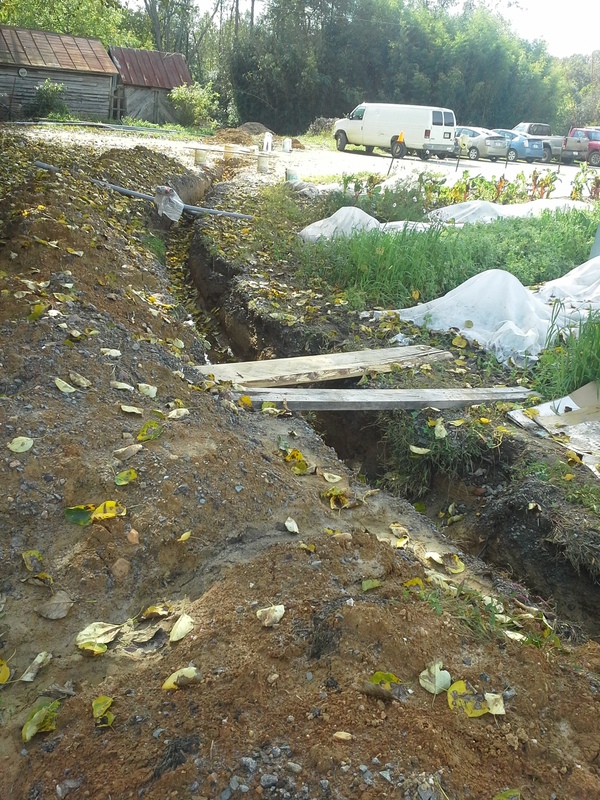 Too-frequent cultivation to remove weeds can leave the soil more prone to erosion. Each tilling or deep hoeing stirs air into the soil and speeds combustion of organic matter. Most weeds respond well to nutrients, especially nitrogen. 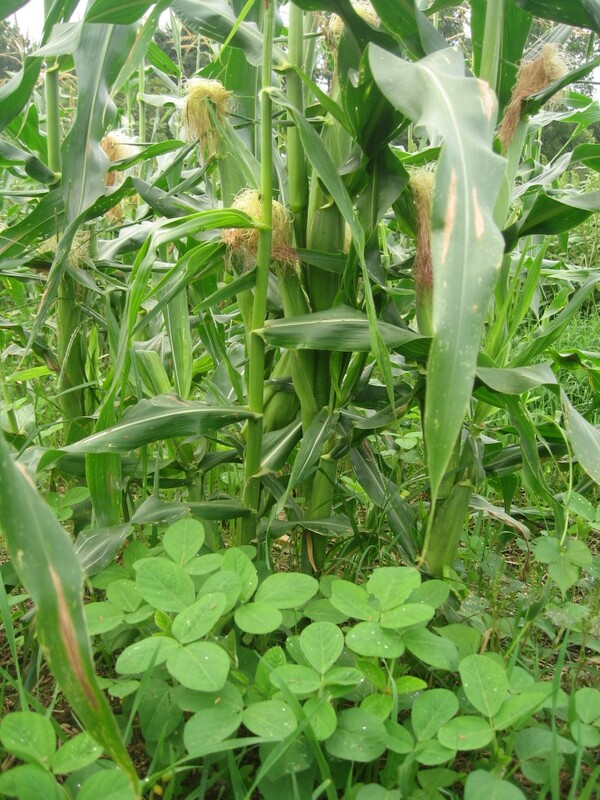 If you give corn too much nitrogen, even as compost, its productivity will max out and the weeds will use the remaining nutrients. Remove weeds at their most vulnerable stage, or at the last minute before the seedpods explode —ignore weeds doing little damage. There are different types: annuals and perennials; stationary perennials (docks) and invasive perennials (Bermuda grass); cool-weather and warm-weather types; quick-maturing and slow-maturing types; “Big Bang” types (pigweed) versus “Dribblers” (galinsoga). Reduce weed seed banks to 5 % of original levels when weeds are not allowed to seed for 5 consecutive years. Most weed emergence happens within two years of the seeds being shed. If they do not get eaten, dry out or rot, seeds on top of the soil are more likely to germinate than buried seeds. Apical dominance: when a rhizome grows a shoot, chemicals from that shoot prevent other nearby nodes from sending up shoots. On long rhizomes, after a certain length, the dominance effect is too weak and another node can grow a shoot. But such shoots may be weak – Cultivate again before the new shoots have grown enough to send energy back to the roots, or pull out the pieces to dry on the surface: the depleted pieces of root or rhizome may die. It’s more effective to wait time until the new top growth has drawn down the plant’s reserves (in the roots) before hoeing or pulling, than to go almost daily after every sprig. I already mentioned some upcoming events I’ll be presenting workshops at. In the next few months, a lot of them are in Virginia, so here’s a heads-up to fellow Virginians. I’ve added one more, very local event. here they are in date order. Culpeper County Library, VA Date: Sun, Feb 28, 2016 2-4 pm. Workshop topic: talk about my book, research, importance, etc. for 30 – 45 minutes, then 15 – 30 minutes Q&A. CSA Farmers at an info table. (It’s National CSA sign up day). Signing and selling books. Parks and Rec Class of 6-12 people – Designing and Planning Your Vegetable Garden. A close look at how to make the most of the area you are going to be using for your vegetable garden, including spacing needs of plants, what plants grow well in Louisa, what plants grow well together, and more. Handouts. Book-signing. Attendees receive a goodie bag from For the Love of the Local after the class. 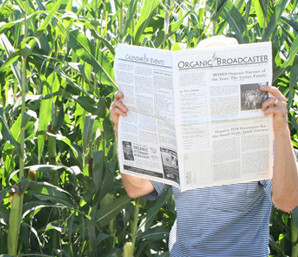 The January/February issue of the Organic Broadcaster is out. 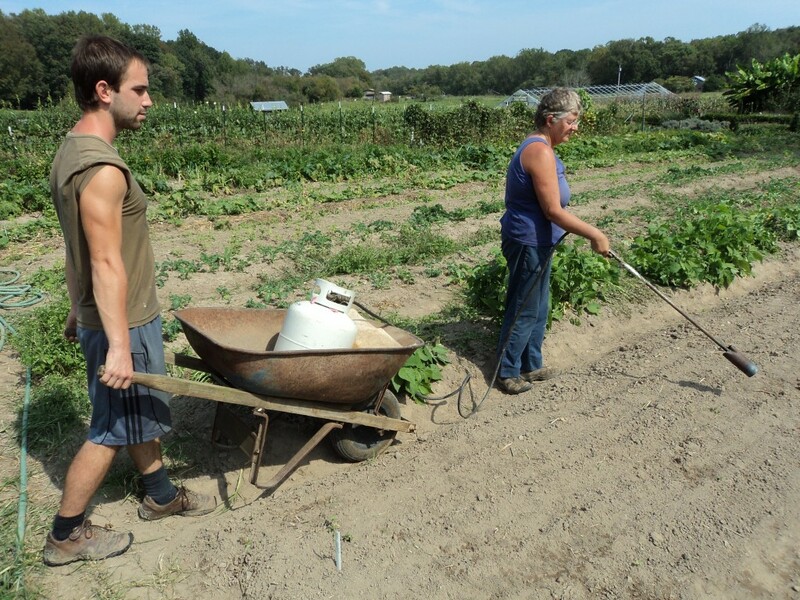 this publication comes from MOSES, the Midwest Organic and Sustainable Education Service. This issue includes articles about the state of Organics in 2016, food safety rules and the relatively new USDA Whole Farm Revenue Protection (crop insurance for the rest of us). Previously crop insurance did not cover unusual crops (which we might not consider that unusual – vegetable seed crops, medicinal herbs. . . ) Other articles cover organic cropland in Illinois, a book review of Marketing Organic Grain by John Bobbe, research on labor efficiencies on organic diversified vegetable farms, preparing livestock for a healthy birthing season, supplying methionine in organic poultry rations, setting goals for successfully transferring your farm to new farmers and a new publication on keeping children safe on farms . Meanwhile, here at Twin Oaks, I’m bracing for really cold weather for a couple of days and the possibility of large amounts of snow on Friday and Saturday. And I’m getting ready for my trip to Lexington, Kentucky for my presentation on Intensive Vegetable Production on a Small Scale at the SSAWG Conference. This week I feel we’ve turned a corner as far as being overwhelmed by the workload. We have been able to make progress on several projects, and the complete lack of rain since August 10th means that we are gaining on the weeds. Days of yore: carts of harvested tomatoes. Our sorry Roma tomatoes have come to an end, but it’s not all bad. We got 270 5-gallon buckets. Last year we harvested 313 buckets, picking until October 16. By this point last year we had harvested only 225 buckets. It took us till September 17 to get beyond today’s 270, and then another month to get the last 40 buckets. Most of those were picked in a single day when we expected frost. The plants survived the light frost and we picked twice more. Lots of time we won’t have to spend harvesting them any more. We can get a good cover crop in, because we can clear the plot earlier. I was able to do good seed selection for Septoria tolerance or resistance. Some plants were much better at surviving than others. We’re also winding down on watermelon harvests. We’ve picked 522, within our goal-range of 500-600. We’ve eaten a lot, given some away, dropped a few by accident and saved plenty of seed for the next couple of years. Our groundhog tally went up by 4 this week, one of them caught by a dog, the rest by us. We had a raccoon in the corn, but after a groundhog occupied its trap and ate its can of cat food, it hasn’t been back. We’ve had very good sweet corn yields. Bodacious, Kandy Korn and Silver Queen are our big three favorite varieties. We’re trying a few others on a small scale: Early Sunglow, Incredible, Sparkler, and Tuxana. No collated comments on those yet. We gave up on Sugar Pearl (early, white) after trying it last year. We much prefer Bodacious (early, yellow). Our grape harvest (mostly Concord) is almost over. 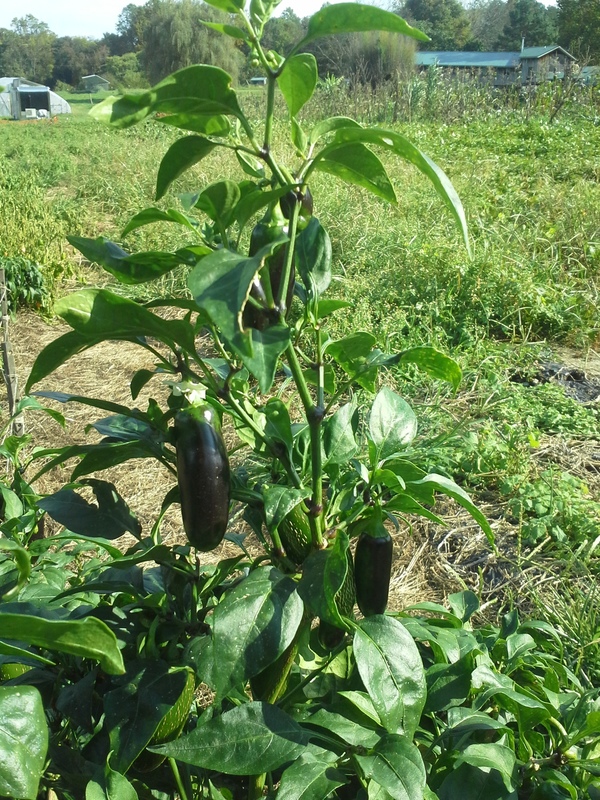 Usually we harvest once a week for four weeks in August, sometimes running into September if a late spring frost froze off the flower buds and they had to develop new ones. We watched in dismay as our June sowing of carrots suffered from Alternaria blight, which blackens the leaves. Now or never, harvest or till under? Today some of the crew, more optimistic than me, dug a third of them, and found plenty of good carrots. Some not so good, it’s true. But worth digging. No, the flavor in the hot weather is never as good as in cooler weather, but these won’t wait for cooler nights. We’re cutting our losses. 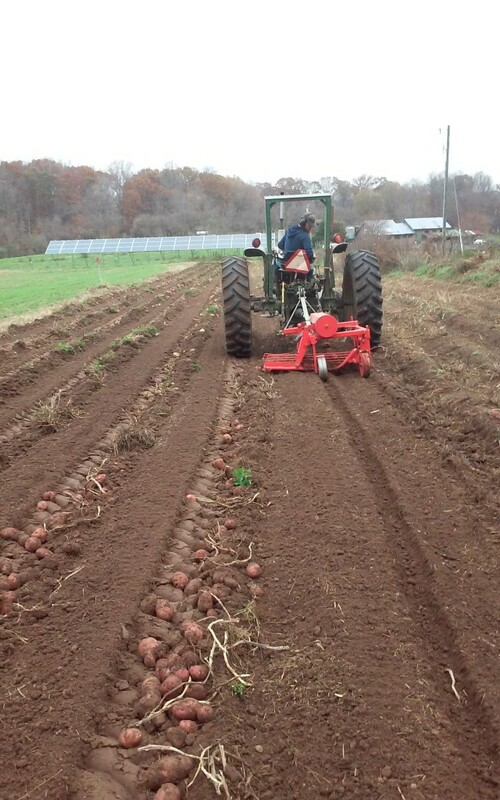 Another of our pressing projects is hoeing the big planting of fall carrots, which we sowed in early-mid August and flamed before the seedlings emerged. The flaming was well-timed, thanks to the “Indicator Beets” – a few beet seeds sown at he end of the bed. Beets germinate a bit quicker than carrots, so as soon as the beets emerge, it’s time to flame the carrots. This year, the bit that hasn’t worked so well (apart from the drought), has been the emergence of self-sowed buckwheat, resulting from the summer cover crop we planted there, and didn’t till in in time before it set seed. So the hoeing has become urgent (buckwheat grows so quickly!). We have made a good start. 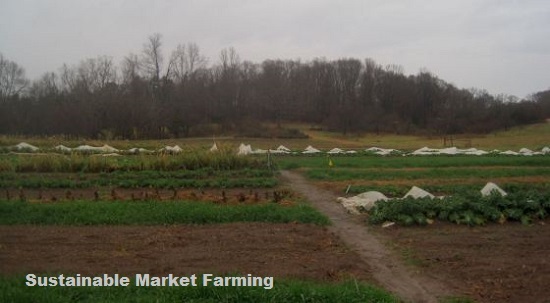 We’ve finalized our plans the outdoor winter cover crops and next year’s main crops and also the hoophouse winter crops. We have spinach seeds sprouting in a jar in the fridge while we prepare the bed. This morning in the hoophouse I pulled buckwheat and shoveled 7 wheelbarrows of compost. I was motivated by the hope that if I got the compost spreading done, others would do the broadforking and raking before my next day in there on Friday!! The broadfork is a great tool, but energetic. I’d rather barrow compost! I just got confirmation that I will be a presenter at the Southern SSAWG Conference January 29 and 30. I’m presenting Intensive Vegetable Production on a Small Scale. 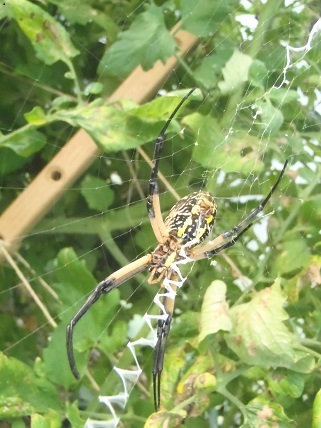 Now, time to switch over the drip irrigation and water the blueberries.